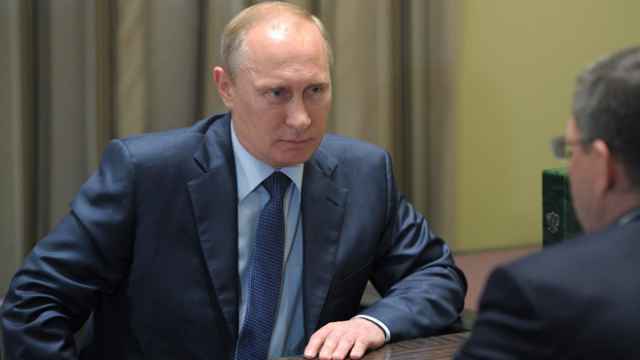 Russia has increased its focus on the military in recent years under the guidance of President Vladimir Putin. 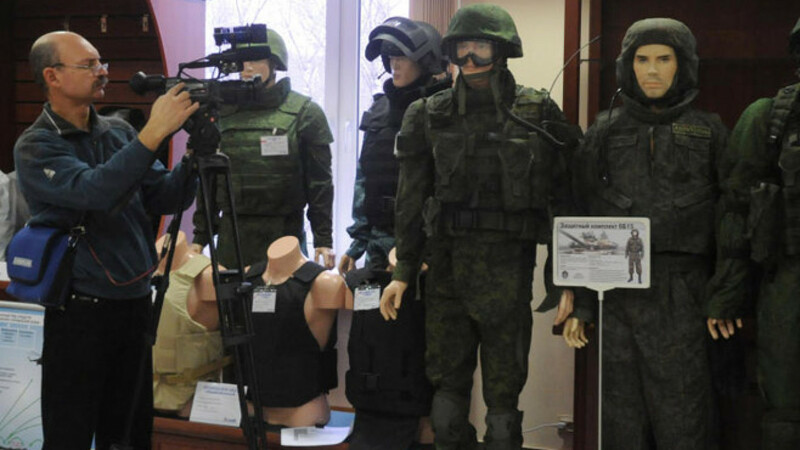 Soldiers clad in superhuman exoskeletons may sound like a bad dream or something out of a science fiction film, but Russian scientists are just five years away from producing the real thing, a news report said Wednesday. "I think that in about five years we will have the neural interface to control exoskeletons and prostheses through the electric potentials of the brain," said Alexander Kulish, head of medical equipment development and production at the United Instrument Manufacturing Corporation (UIMC), the TASS news agency reported. UIMC is dedicated to manufacturing communications, electronic and robotic systems for the Russian military and civil application. 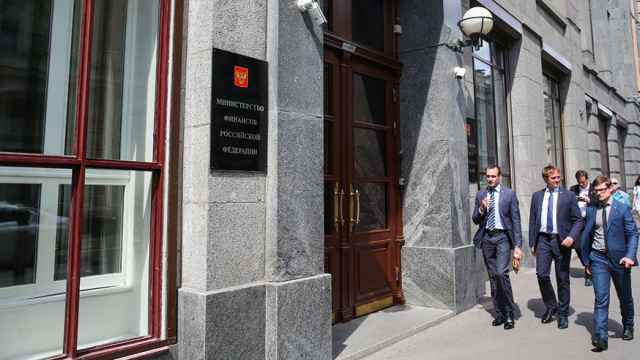 It is a subsidiary of state-owned defense and technology holding Rostec. 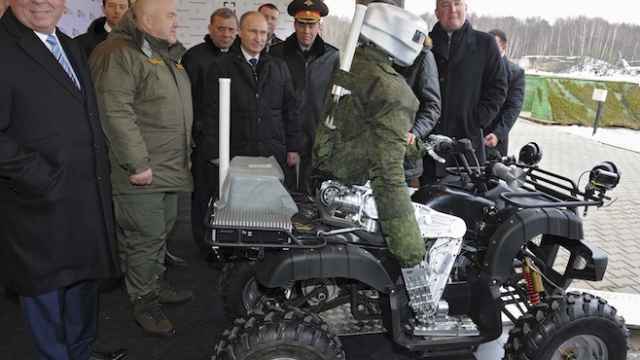 In combat conditions, these exoskeletons could allow soldiers to carry up to 200 or 300 kilograms of battle gear and perform remarkable feats, Kulish said. "With this a soldier can perform incredible jumps, move and throw heavy objects. This is the future," Kulish said. Exoskeletons are not the end of this innovation, he added. If the technology becomes precise enough "we can control many instruments: automobiles, drones," Kulish said. The technology also has civilian uses: Exoskeletons can be used to rehabilitate people whose locomotor or central nervous systems have been damaged, the scientist was quoted as saying. Russia has increased its focus on the military in recent years under the guidance of President Vladimir Putin, in particular through a massive 20 trillion ruble ($390 billion) rearmament drive through 2020 that has continued even as Russia's state budget comes under pressure from falling oil prices and an impending recession. 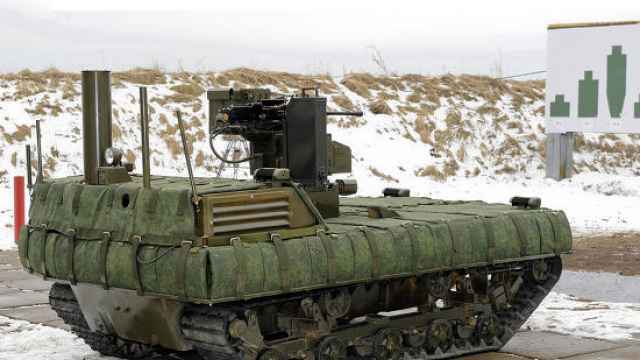 The Russian military already has a few sci-fi-esque technology projects to its name, including an ongoing one to build massive machine gun-wielding battle robots.